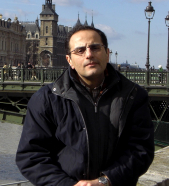 Dr. Sassan Ahmadi is the Director of 5G Wireless Systems and Standards with Xilinx Inc., and a Lecturer at Stanford University with over 30 years of experience in signal processing and communication system design as well as cellular systems standards development. Previously, he held senior positions at Apple, Intel and Nokia. He has authored two books on wireless communications, "LTE-Advanced, A Practical Systems Approach to Understanding 3GPP LTE Releases 10 and 11 Radio Access Technologies", Academic Press, 2013 and "Mobile WiMAX, A Systems Approach to Understanding IEEE 802.16m Radio Access Technology", Academic Press, 2010 and over 90 patents/patent applications on various aspects of 4G and 5G radio access networks. He is the co-author of six other books as well as and the author of more than 20 refereed journal and conference papers. For over two decades, he has been a technical contributor and leader in the development of the cellular standards including 5G NR, IMT-Advanced, and IEEE 802.16m standards in 3GPP, ITU-R, and IEEE. He has taught graduate courses at Stanford University since 2014 and University of California, San Diego between 2000 and 2003. 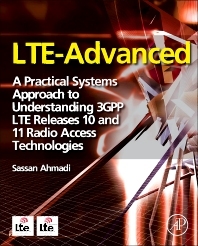 This book covers most of spec and technologies of LTE widely and in detail. Good choice as the next book of an introduction one.